Fagor is a brand renowned for its product innovation, exceptional construction, great design and energy efficiency. Fagor is a leading company in the pressure cooker market that manufactures and distributes different kinds of cookware all over the world. Nowadays, Fagor is among the most popular brands of pressure cooker manufacturers and offers several categories of pressure cookers. Each of their pressure cookers is constructed to deliver the best value to the people who use them. Fagor’s core mission is to make their products as simple as possible and as efficient as possible without compromising safety standards. 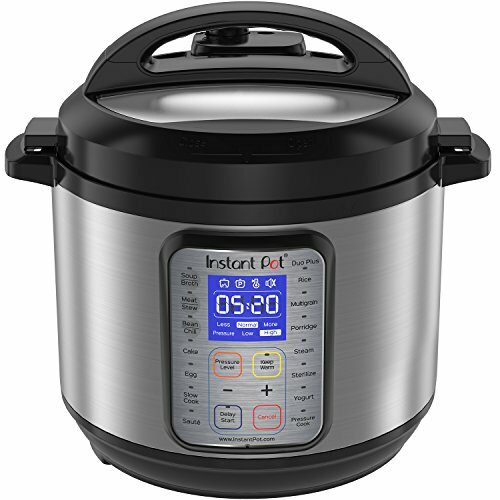 The company has an impressive array of pressure cookers and what is common in all their products is that they are modern, stylish, energy-efficient, durable and eco-friendly. Below, you will find the top-rated Fagor pressure cookers on the market. The Fagor Splendid 6 Quart is made of polished stainless steel and comes with two cool handles by its sides. The appliance has a very smooth finish which makes it a stylish addition to your kitchen. Moreover, its construction ensures that it is compatible with all kinds of cooktops. Furthermore, it comes with advanced safety features that prevent excessive pressure build-up. These safety features include a visual pressure indicator and an automatic pressure release system. The pressure cooker is made in an eco-friendly manner which makes it an ideal choice of cooker for environmental sustainability. Despite its eco-friendly construction, the cooker does not compromise its efficiency. 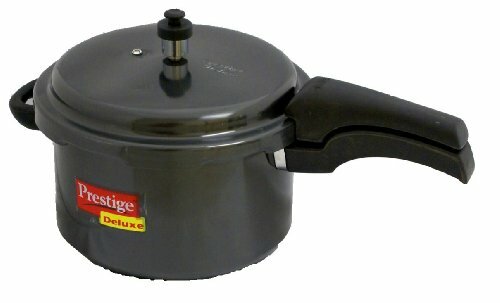 The pressure cooker reduces cooking time and also uses less energy. Additionally, it comes with a manual and recipe book which contains a lot of useful information to enhance your cooking experience. The Fagor LUX is a remarkable pressure cooker because of its versatility. 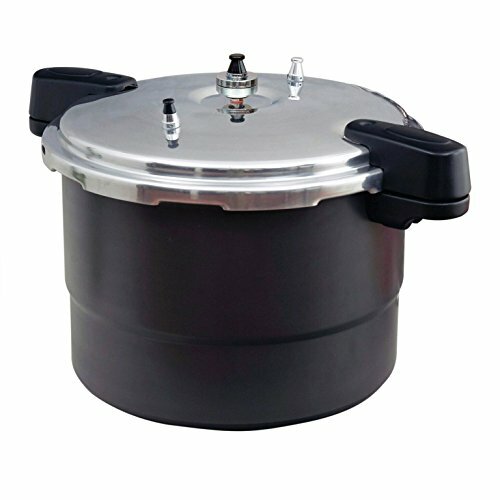 This electric pressure cooker can be used as a slow cooker, rice cooker and yogurt maker. The product is made of stainless steel and has a great design. 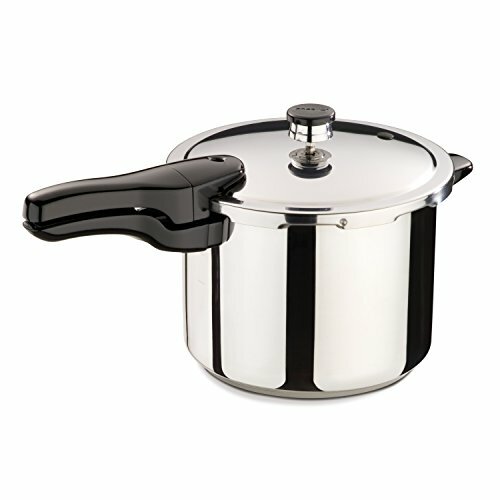 It has a huge cool-touch handle on the lid so you can safely move the pot without the risk of burning your hands. 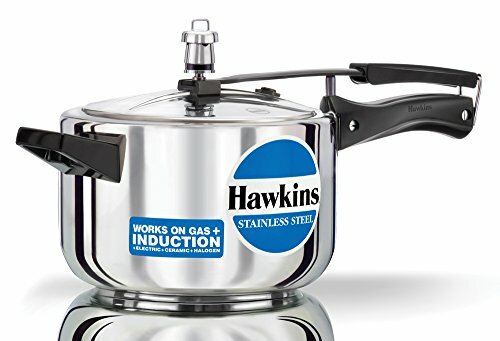 The pressure cooker is equipped with several features that make it very efficient and it can reduce cooking time by 70% compared to non-pressurized cookers. Additionally, it comes with a variety of cooking options that allows you to choose between low or high pressure options depending on the food you are cooking. One of the benefits of this pressure cooker over others is its intuitive and easy to read controls and 4-digit LED screen. Its automatic pressure release option also ensures that it is safe to use. Furthermore, it features timed cooking and has settings for browning and steaming. Additionally, it can be programmed to delay start for slow cooking. 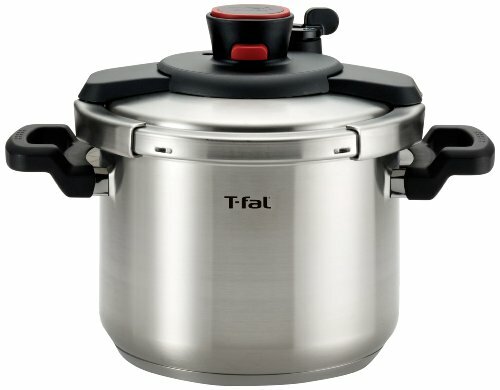 Despite its advanced functions, the pressure cooker is easy to use and easy to clean. It comes with a cooking insert that is dishwasher safe. Apart from all the great benefits mentioned above, it also comes with a user manual, recipe booklet and a free digital recipe book. The Fagor Chef is made entirely of stainless steel and has two cool touch handles by the sides and on the lid. Its construction makes it compatible with all types of cooktops. 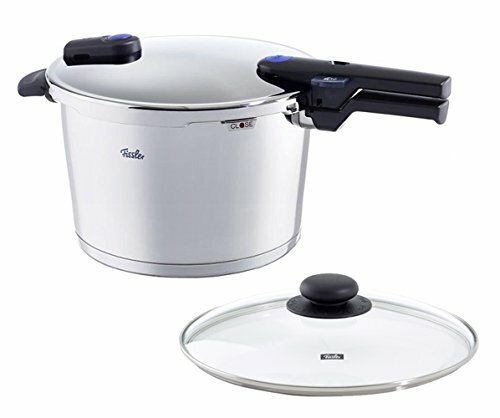 Additionally, the pressure cooker is very wide which makes it the ideal product for large families. The product comes with a timer which can be used to program the operation of the cooker. This timer also functions as an alarm which would alert a person once the cooking time is finished. 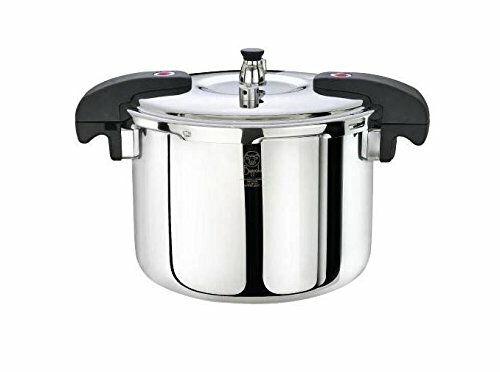 Moreover, the pressure cooker comes with a pressure selector that has four pressure settings and ensures that the cooker can be used with variety of recipes. Aside its efficiency, the product’s construction ensures that it is easy to use and easy to clean. It is remarkably easy to put food into the cooker, stir and remove. Additionally, it comes with a triple safety system on the lid. 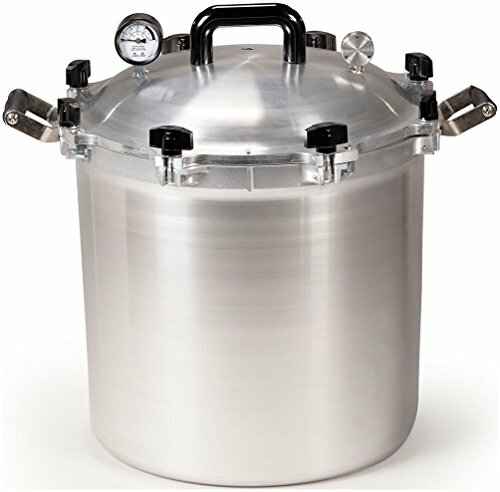 There are more back-up valves on its lid than virtually any other pressure cooker on the market today. 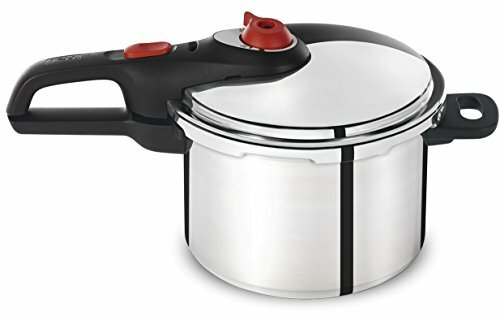 Moreover, the pressure cooker comes with a self-locking lid which ensures that it remains closed when pressure builds up and cannot be opened until all the pressure has been released. 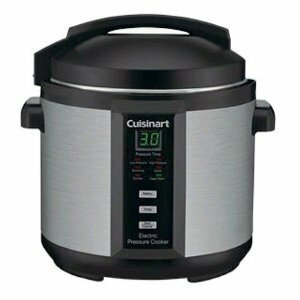 Overall, here we have an affordable, efficient and highly praised pressure cooker that is known to deliver top-notch cooking results every time it is used. The Fagor Duo 8-Quart Stainless-Steel pressure cooker is a remarkable product because it combines energy efficiency with safety. 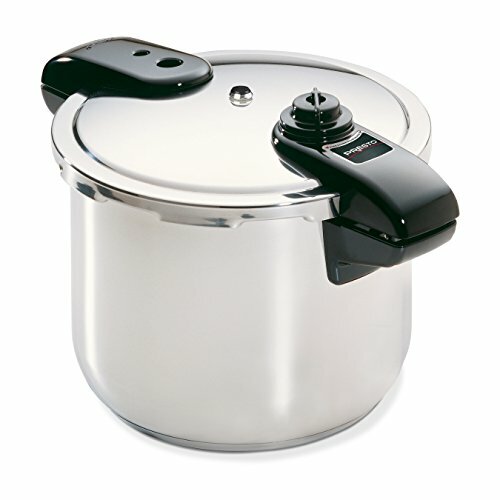 The pressure cooker is made entirely from stainless steel and has two cool-touch handles by the sides. The appliance comes with a visual pressure indicator and an auto pressure release mechanism which makes it safe to use. Additionally, its stainless steel construction ensures that the cooker will last for many years to come. Moreover, the cooker is compatible with all kinds of cooktops. It also comes with a simple and streamlined design that makes it balance conveniently on cooktops. The pressure cooker’s construction ensures efficient and easy results. Moreover, it comes with a steamer basket and also features an automatic pressure release mechanism. The safety-lock handle is designed to stay locked during cooking until all pressure has been released. All its safety features ensure that the Fagor Duo can safely be used in any kitchen. Additionally, it comes with a booklet of instructions and recipes. Overall, the pressure cooker has a great design and comes with multiple features that make cooking easy, faster and safer. The four Fagor Pressure Cookers reviewed here above are some of the best Fagor pressure cookers that you can get your hands on. 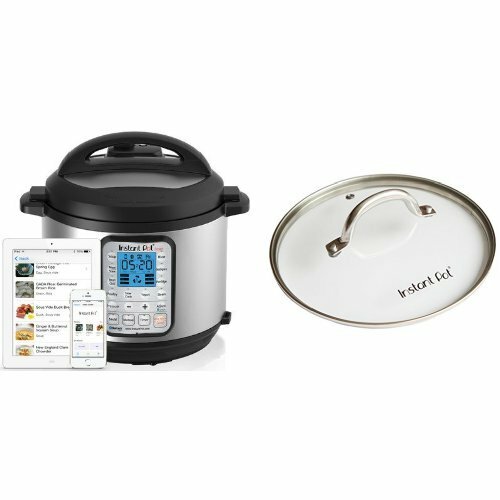 Not only are they outstanding products of a reputable brand, but also each of the four pressure cookers is a star of its own. The Fagor Duo is a great kitchen appliance that combines energy-efficiency with safety and great functionality. Apart from that, it is very easy to use and clean. All of the pressure cookers listed above are known for efficiency and they are all compatible with all kinds of cook tops. Additionally, every cooker is durable, safe to use and offer versatile cooking results. Moreover, the Fagor customer service team will always happily assist you in the unlikely event that you need assistance with your pressure cooker.